Born in Bari (Italy), Vito Di Modugno began his musical studies very early. Guided by his father Pino Di Modugno, an experienced and well-known accordionist, he studied piano,organ, electric bass and upright bass. His gave his first public performance at age five and at age 11, made his debut in his father's orchestra. 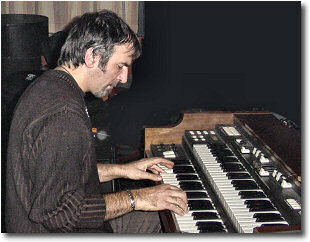 In 1976 he began studying piano with Maestro Binetti, earning his diploma in 1984. 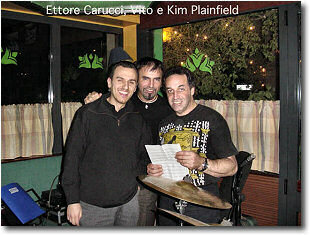 The same year, he was one of several winners of the musical contest "Coppa pianisti d'Italia". He attended masterclasses with Medori and Caporali; jazz seminars by Michael Brecker and Pat Metheny, and courses at Siena Jazz. From 1996 to 1999 he was on tour with Patty Pravo, recording two CDs and a DVD. 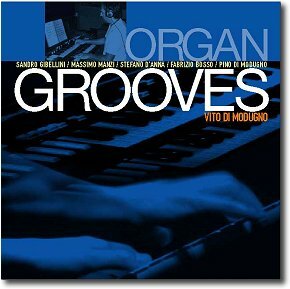 He has recorded several CDs with "Red Records": as leader on "Organ Grooves", with his group comprising Sandro Gibellini (guitar), Fabrizio Bosso (trumpet), Stefano D'Anna (tenor sax), Massimo Manzi (drums) and Pino Di Modugno (accordion); again as leader on his second CD, "Organ Trio", with Pietro Condorelli (guitar) and Massimo Manzi (drums); as sideman on Pino Di Modugno's CD "Bedouin"; and on Sicilian pianist Salvatore Bonafede's "Paradoxa". 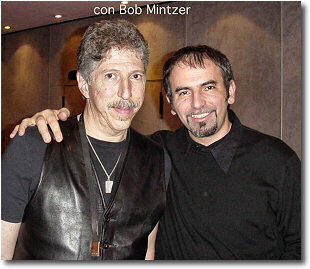 In 2003 he was voted among the best new talents in "Musica Jazz" magazine's "Top Jazz" poll. He participated as soloist in concerts with the Symphony Orchestra "Arturo Toscanini" of Parma directed by Beppe D'Onghia, playing Jon Lord's concerto written in 1969 for The Deep Purple. 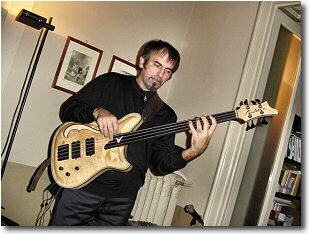 He presently teaches in Bari at the "Pentagramma" Music School and the Conservatory "N.Piccinni". Discographic's collaborations: Patty Pravo, Articolo 31, Michele Carrabba, Mario Rosini, Guido Di Leone , Fabrizio Bosso , Pino Di Modugno, Massimo Manzi, Sandro Gibellini, Stefano D'Anna , Michele Di Monte, Giovanni Tommaso, Tiziana Ghiglioni, Michele Fazio, Mino Petruzzelli , Mimmo Campanale , Massimo Carafa, Francesco Palmitessa, Lorenzo Tucci.